Our art classes provide an environment for responding to God’s love and creation. The design and visual elements with which we create art originated with God “in the beginning.” Creation is God’s masterpiece. “For everything God created is good” (1 Timothy 4:4). 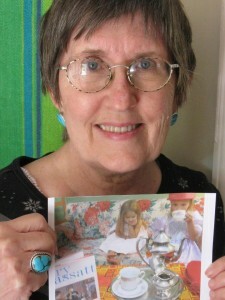 Charlotte Mason’s teaching approach is our guideline for Art projects. “We see, then, that the children’s lessons should provide material for their mental growth, should exercise the several powers of their minds, should furnish them with fruitful ideas, and should afford them knowledge, really valuable for its own sake, accurate, and interesting, of the kind that the child may recall as a man with profit and pleasure” [Vol. 1, Part V Lessons As Instruments of Education, p. 177].